Discover the small, sleek PlayStation Vita system that’s big on features. Explore and play with a touch, tap or swipe of your fingertip on the crystal clear, 5-inch touchscreen. The rear touch pad gives you advanced precision and accuracy, so you can interact from both front and back for full control. Grab, trace, squeeze, push and pull… the possibilities are endless. Enjoy a seamless, effortless experience with intuitive dual analog sticks that give you complete control of the action. The high-resolution 5-inch screen gives you colour and definition like you’ve never seen before in portable gaming. Blur the line between gaming and real life. Transport your surroundings, and even yourself, into the game you're playing – creating a whole new world every time you play. Tilt and steer your way through adventures, interact with characters and use in-game tools in new ways – all courtesy of the built-in motion sensors. You can connect your PS Vita system to your PS4 or PS3 and unlock new and exciting ways to play. 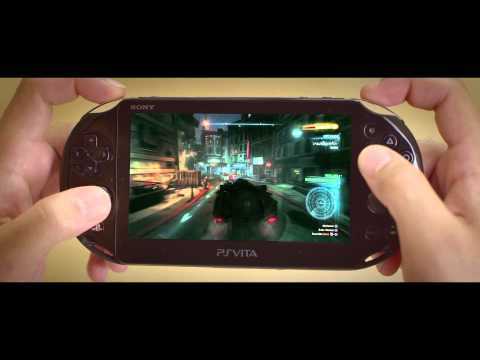 Transform your PS Vita into a mini-version of your living room console. Nearly all PS4 games can be played remotely on your PS Vita via Wi-Fi. Buy a game for your PS Vita, PS4 or PS3 and get the same title at no extra cost or at a discount on the other systems. Selected titles only. Race, fight or team up with other players in real-time on either PS4 or PS Vita. It works between PS Vita and PS3 too. Selected titles only. Begin your adventure at home on your PS4 or PS3, save your game, then continue on PS Vita wherever you go. Selected titles only. Unlock or create in-game items and share them between your PS4 and PS Vita, or between PS3 and PS Vita. Selected titles only. Use the PS Vita system’s unique features to control PS4 and PS3 games in brilliant new ways. Selected titles only. Check out our guides and FAQs. Discover more about playing, buying and sharing game experiences via PSN. Find out more about the power behind PS Vita.